Gittings's next project was a life of Thomas Hardy, of whom no biography had by then appeared that could be described as even adequate. 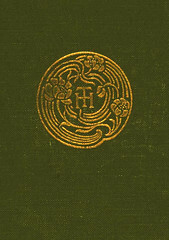 His edition of Emma Hardy's Some Recollections (1961), done in collaboration with another writer, had received very rough handling from the late Henry Reed and was subsequently revised. Reed, who had known the second Mrs Hardy well, had for long been expected to write the definitive biography. But illness prevented that happening. Gittings failed to obtain Reed's co-operation in his work. This was a loss, as Michael Millgate's later biography, written with the benefit of Reed's expertise, showed. Gittings accomplished his task in two volumes: Young Thomas Hardy (1975) and The Older Hardy (1978). These were received with respect and (especially the first volume) with gratitude for bringing hitherto unknown facts to light. It is a little surprising to see the name of Miss Evelyn Hardy [no relation] associated with the presentation of these difficult pages; her past achievements in the way of transcription have not been of a kind to beget confidence. It is to be hoped that the presence of Mr. Robert Gittings has guaranteed the general accuracy of the text; he has not, of course, been able to hold completely in check Miss Hardy's passion for irrelevant annotation: perhaps he feels that this has sometimes a wild charm of its own. Mr. Gittings has himself edited a small anthology of poems, appended to the main text, which may be considered to have a definite or possible derivation from the Recollections themselves. There is naturally room for minor disagreement about some of his choices, but most of what he has to say is very illuminating; and all of it is worth the closest attention.